This listing is for a reversible bib. This adorable bib features two premium cotton prints and is lined with cotton batting for absorbency. It also has snap closure - much better for staying on and for washing than velcro. 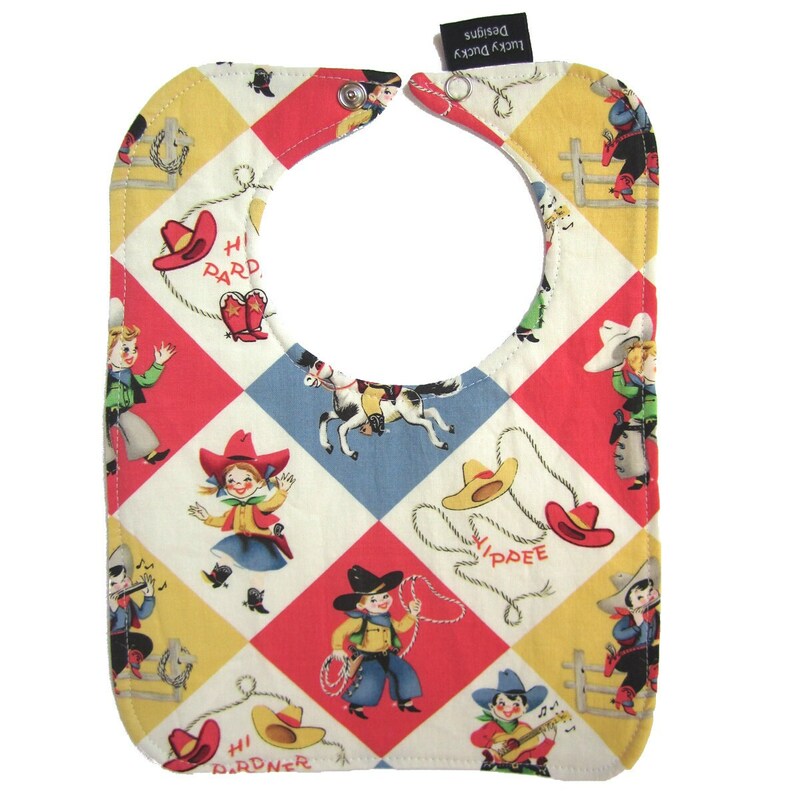 This bib features Michael Miller's retro cowboy print Yippee print with cowboys on the front and blue bandanna print on the back. This cute baby bib is great for a gift or for a splurge for yourself! The bib is 100% cotton and is machine wash and dry.